"We thought you might like an update on Muddy. He really enjoys duck hunting. He retrieved 12 ducks ( two guys' limit) at 10 1/2 months. He doesn't hesitate at all to go into freezing cold water. He has been a wonderful addition to our family, and he loves it here on the farm. 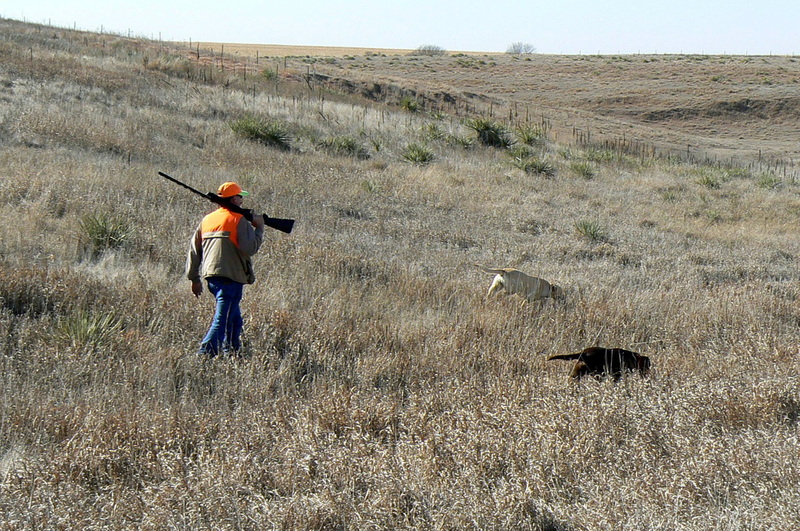 We are considering competing in Jr. hunt tests in the spring." "This is Gauge the male pup we picked up from u earlier this year. I know he's young but he caught on so quick I couldn't help but take him into the field and he has bypassed all my expectations." Neyshun and Timber's water entries! 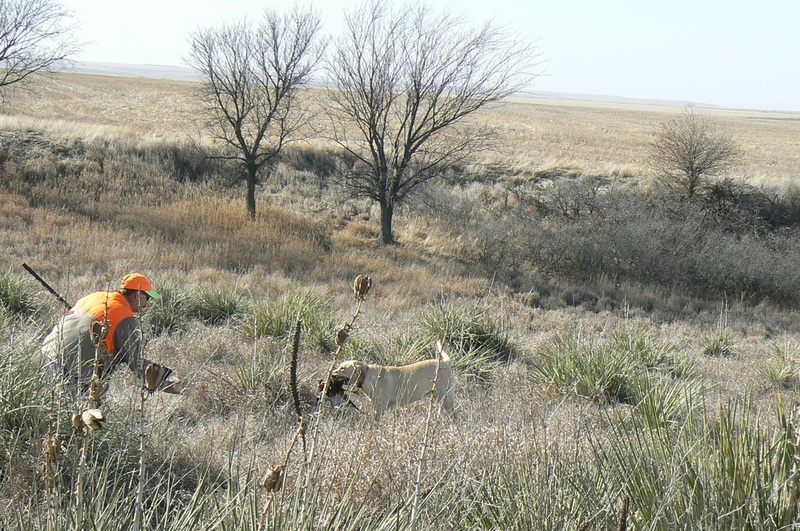 Timber, pheasant hunting in western Kansas! Mally, from Mya/Cajun litter 2012. After her first pheasant hunt her owner said, "I never really showed her a bird but she knew what was going on and not gun shy at all." Jake, a male from Mya/Cajun litter 2012. 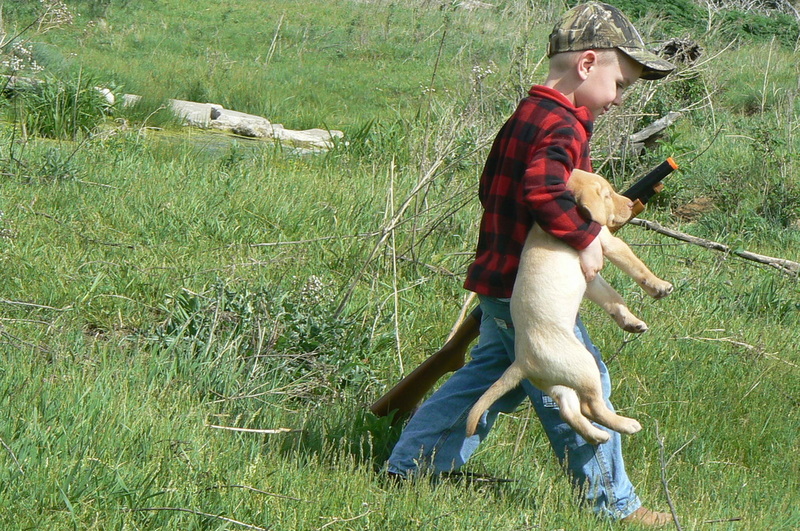 He loves to duck hunt! 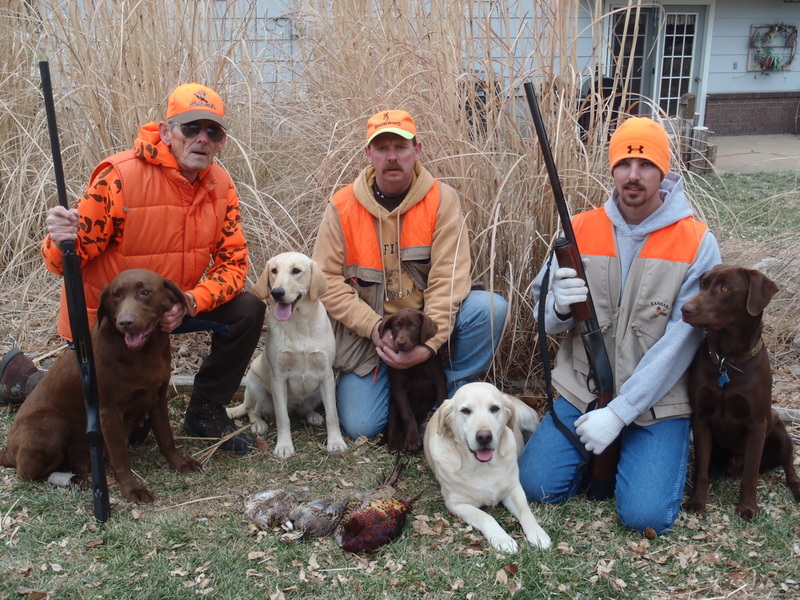 Pheasant hunting with Timber and Neyshun. 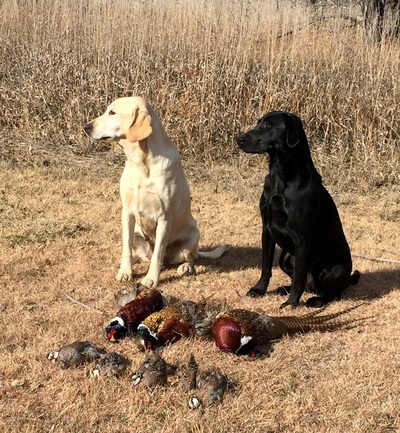 Timber earned her SHR Title at 15 months old. Neyshun earned her SHR Title at 9 months old. 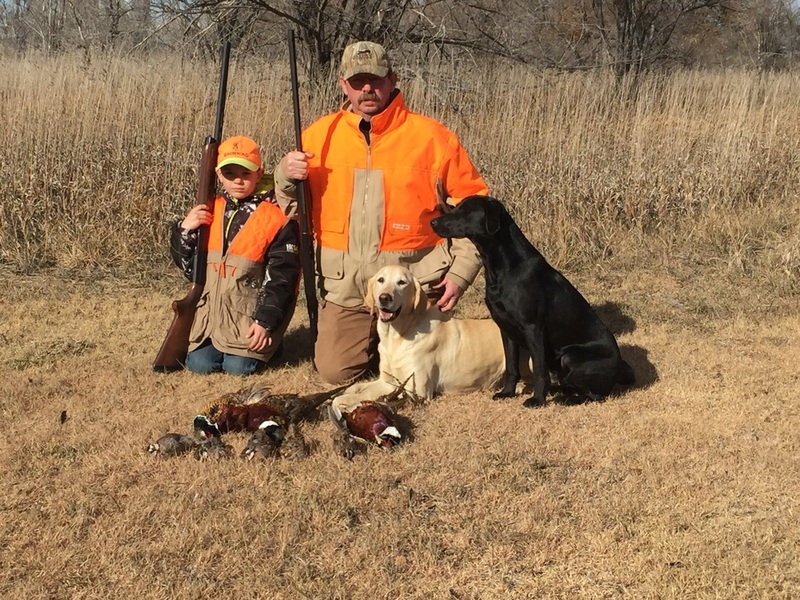 Three generations of hunters with Mya, Timber, Neyshun, Cody and Koda. Mya, 5 months old training with a pheasant wing. 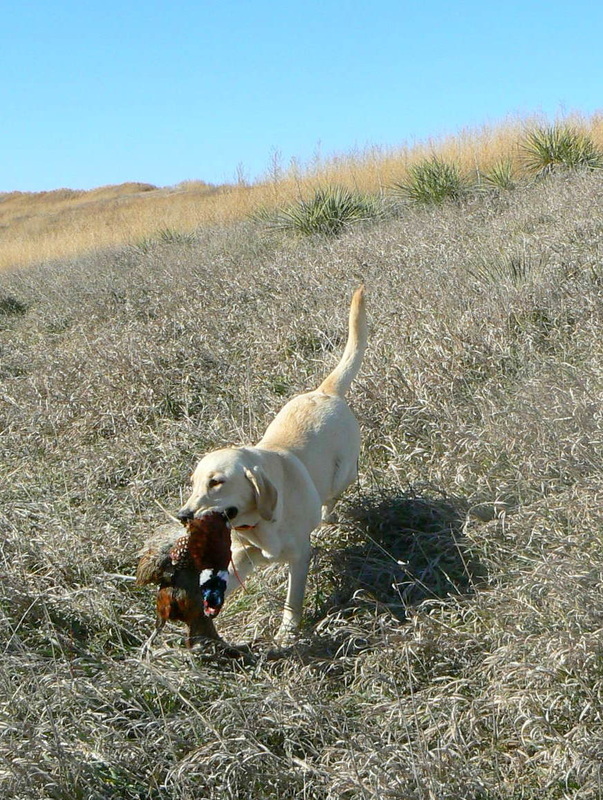 Mya, 10 months old retrieving a pheasant. 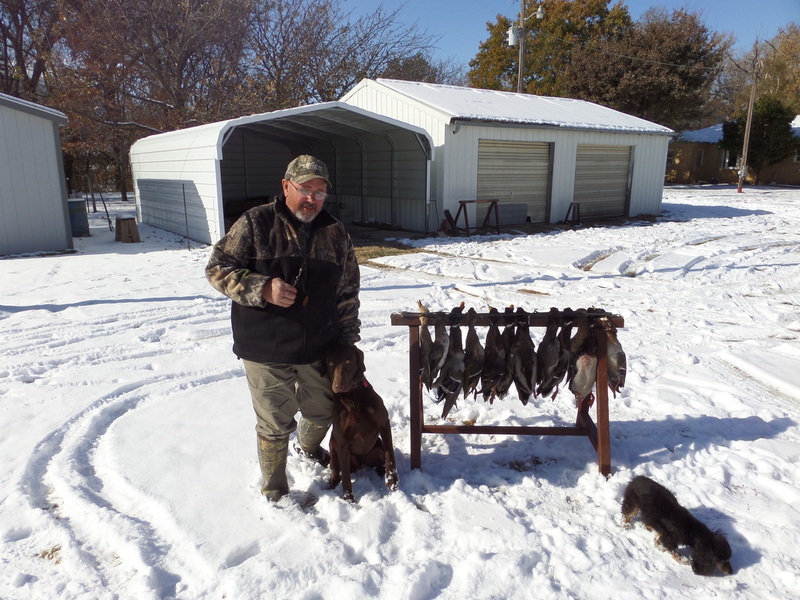 Rick from CO with Diesel, a chocolate male from Mya's first litter. 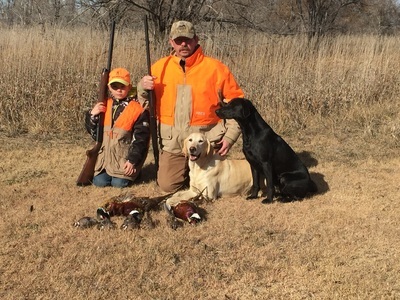 Looks like he had a successful first year of hunting! Diesel turned six years old on 1-1-2014! We love seeing how much our pups become such an important part of their new families! He is one lucky lab! Callie and her owner, Carrie, competing in DockDogs and winning! Callie was from Mya's first litter. Two sisters owned by friends in CO that were from Mya's 2nd and 3rd litters. 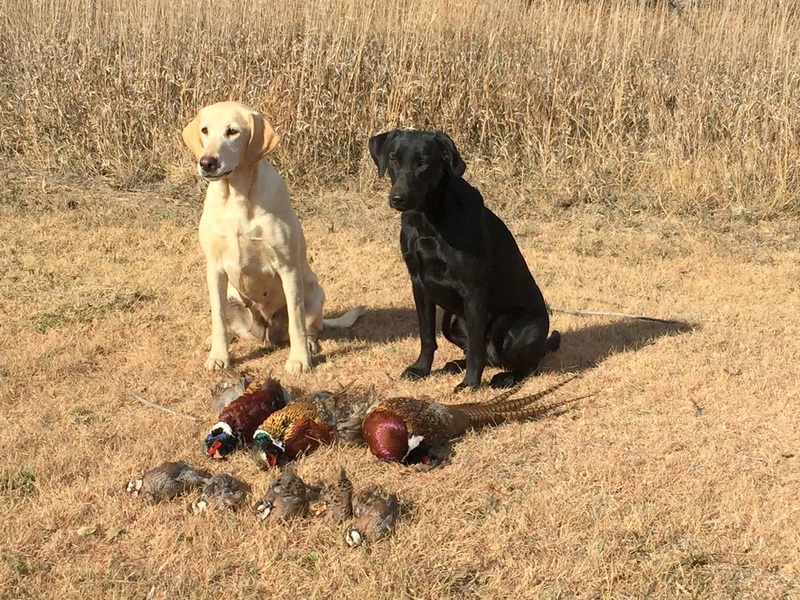 We appreciate the referrals our satisfied lab owners have given us. Rocky resides in CO and is from Mya's first litter. He has been trained as a hearing impaired service dog for his owner. Hazely lives in sunny California. She's resting after a long day at the beach! She was out of Mya's 2nd litter. We could go on and on with pictures from our extended lab family but you get the drift! 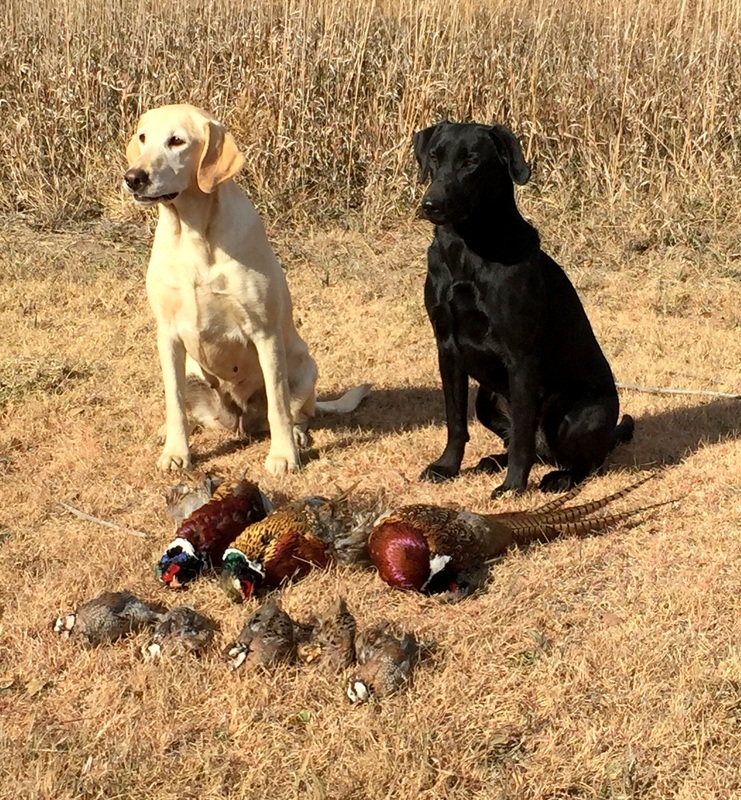 Whether you're looking for a hunter, a jumper, another set of ears or just a faithful companion, HUNT IT UP LABS can deliver!